Pair up with loved ones for an unforgettable time and laughs in City Centre Me’aisem and City Centre Al Shindagha’s engaging ‘The Great Claw Machine’ game this DSF from January 10 until February 6. With the aim of bringing unique, interactive family entertainment for the community all-year-round, the malls have launched this exciting activity, fit for both adults and children. One participant must act as a human claw and pick prizes from a giant gift pit, as the other controls the movement of the crane-like device on the other end. The aim is to grab a prize without dropping it. Visitors can join in the fun and try their luck as they dive into a pile of surprises, including gifts from Patchi, Ski Dubai, Aldo, Bath & Body Works, Magic Planet and Mall GiftCards, at the life-sized arcade game at City Centre Me’aisem from January 10 until January 23 and City Centre Al Shindagha from January 25 until February 6. Players can win gifts from participating outlets, retailer vouchers and Mall GiftCards. Visitors who spend AED 200 at lifestyle and fashion stores at City Centre Me’aisem and AED 100 at City Centre Al Shindagha get a chance to play the game. 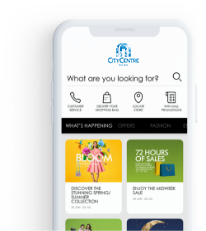 For more information, visit: www.citycentremeaisem.com or www.citycentreshindagha.com.